Jimmy Butler (left) likely will miss the game against the Nets on Wednesday night. Jimmy Butler did not practice Tuesday because of his strained groin, and he is listed as doubtful for Wednesday night’s home game against the Brooklyn Nets. Butler left the floor with 2 minutes, 20 seconds left in the first quarter of Monday’s 116-102 win over Detroit and did not return. Brown didn’t give much more information on Butler’s status, but some things can be gleaned from the language the Sixers are using. First, the team did not have a full five-on-five practice Tuesday, so it’s not as if Butler was held out of much. Second, the Sixers, in their medical update, did not list Butler as out. If they expected him to be out a week or two, they would have listed him as out. That Brown was vague about a timeline means Butler could return sooner rather than later. Additionally, the groin strain did not incapacitate Butler, and he didn’t seem to be in an uncomfortable amount of pain, despite looking a little off while on the court. Wednesday’s opponent also could have something to do with the vague timeline. The Sixers will play the Nets, and, while the Sixers have split their two games against Brooklyn this season, needing a Butler buzzer-beater to win on Nov. 25, the Nets are just 10-18 and are not the kind of opponent you risk further injury against. It would be an easy game to give Butler off, so that he could recover fully. Friday, on the other hand, will be another test for the Sixers as the 17-10 Pacers, who sit right behind the Sixers (19-9) in the Eastern Conference standings, will be in Philly looking to put a dent in the Sixers' home record. 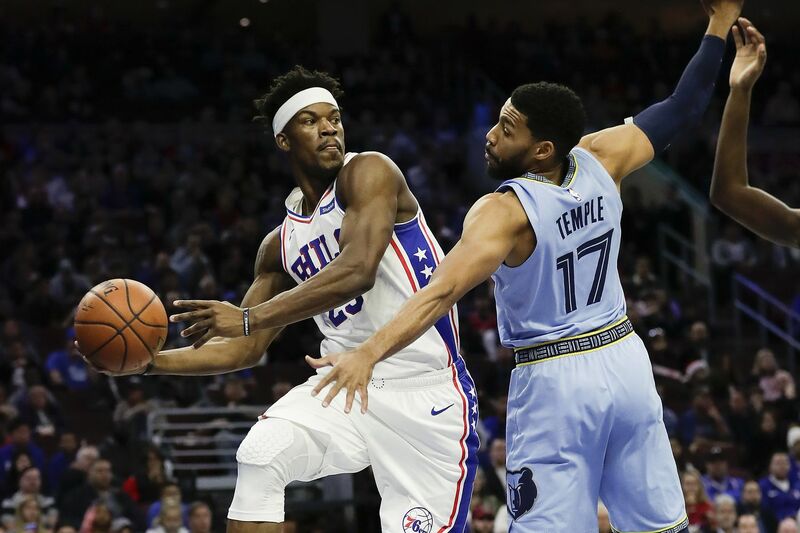 If Butler misses Wednesday’s game, or any time beyond that, Brown said he would provide a heavier load for Landry Shamet, Furkan Korkmaz, and T.J. McConnell, as he did against the Pistons.